Replace Ruger 10/22 LR or Magnum blued steel drift pins with new precision-machined stainless steel pivot pins. This set will make a smoother trigger release and fit much better than factory blued steel pins. New sear and disconnector pins are oversized to effectively reduce the amount of trigger play. Have a spare set available in your tool box. 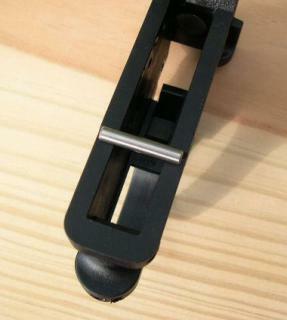 Slave Pin: Temporary B-21 Pin used for trigger parts installation only. Bright steel. Installation of these pins requires knowledge and experience to disassemble and reassemble the trigger parts properly. If not, a gunsmith is advised. If these parts are ordered as an option to one of our Hornet Custom trigger assemblies (excluding slave pin), installation is free. Highly recommended. The hammer pivot pin is 7/8" long, 1/16" shorter than factory length, but sufficiently long to span the hammer opening dimension of .525" for sufficient purchase.